Every month the Consumer Product Safety Commission (CPSC) posts products that are made in China that have been recalled. 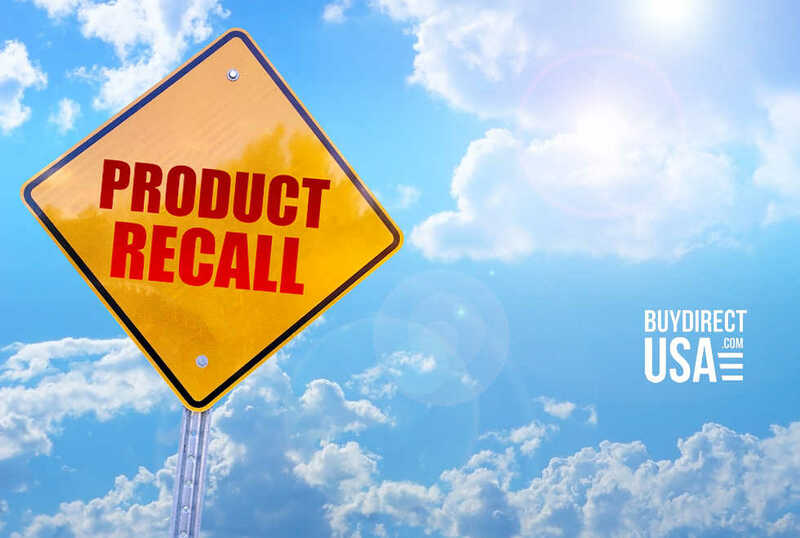 This can be due to choking and laceration hazards, violations of Federal Flammability Standard, unsafe levels of lead, asbestos and other toxins such as mold, fire and burn hazards just to name some of the reasons products are recalled. In 2008 recalls of children’s toys topped the list for the most recalls with 172 toy recalls. 19 of the toys manufactured were recalled due to unacceptable lead levels. Just 9 years later recalls of toys made in China dropped to 28 and none of the toys recalled contained lead. While progress in the elimination of lead from imported toys has improved. Unfortunately there are still dangers lurking in toys and products markets for children from China. In May 2018 Colorations Crayons were recalled because the red crayons may contain glass that could cause a laceration hazard. Ironically the testing on the makeup from Claire’s was not done by any consumer protection agency in the USA. Instead a concerned mother sent the product out for testing to make sure the makeup her daughter was using was safe. How many other products that are made in China that have not been tested contain asbestos and other dangerous toxins that may cause health problems are still being sold in stores? While many big box stores and online retailers are still opting to sell mainly products made in China there are more and more companies who are looking to manufacturer here in the USA. We encourage all consumers to buy American Made when they can and continue to put pressure on these businesses to sell more Made in USA products. The health of our economy and our loved ones depends on it. 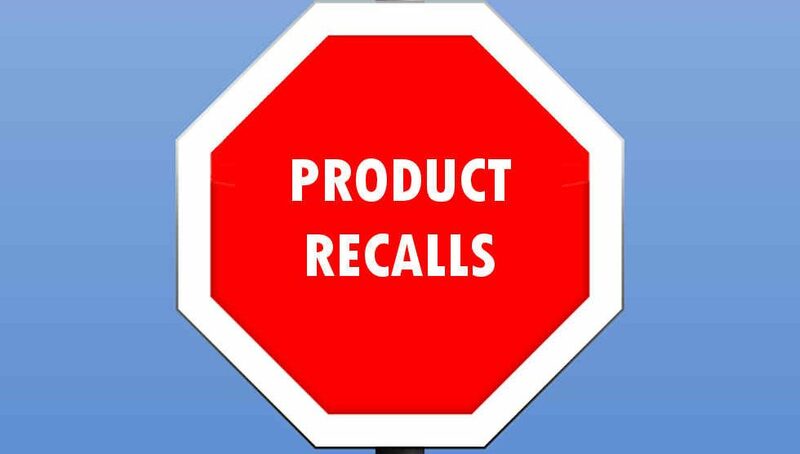 Below are some examples of recalls in 2018 issued by the Consumer Product Safety Commission. For the full list of product recalls please visit CPSC.gov. Chinese company recalls tainted heart medicine from stores worldwide – Valsartan, a drug used to treat high-blood pressure and prevent heart failure, was recalled in 22 countries across Europe and North America earlier in July after batches were found to contain N-nitrosodimethylamine (NDMA), an organic chemical that belongs to a family of potent carcinogens. BSN SPORTS Recalls Rubber Critter Toys Due to Violation of Federal Lead Paint Ban – the orange and yellow surface paint on the rubber critter toys contains levels of lead that exceed the federal lead paint ban. Lead is toxic if ingested by young children and can cause adverse health issues. Vornado Air Re-announces Recall of Electric Space Heaters Following Report of Death; Fire and Burn Hazards – the electric space heater can overheat when in use, posing fire and burn hazards. Women’s Scarves Sold Exclusively on Amazon.com recalled due to violation of federal flammability standard hazard – the women’s scarves fail to meet the federal flammability standard for clothing textiles, posing a risk of burn injuries to consumers. Allura Children’s Sleepwear Recalled Due to Violation of Federal Flammability Standard – the children’s pajamas fail to meet the flammability standard for children’s sleepwear, posing a risk of burn injuries to children. Reduce Hydro Pro Water Bottles by Base Brands Recalled Due to Violation of Lead Paint Standard – the pink paint on the outside of the bear water bottle contains levels of lead that exceed the federal lead paint standard. Lead is toxic if ingested by young children and can cause adverse health issues. Dr. Brown’s Lovey Pacifier & Teether Holders by Handi-Craft Recalled Due to Choking Hazard – the snap can detach from the pacifier’s ribbon, posing a choking hazard for young children. Kidde Recalls Dual Sensor Smoke Alarms Recalled Due to Risk of Failure to Alert Consumers to a Fire – a yellow cap left on during the manufacturing process can cover one of the two smoke sensors and compromise the smoke alarm’s ability to detect smoke, posing a risk of consumers not being alerted to a fire in their home. Hand Warmers Sold Exclusively at Amazon.com Recalled Due to Fire and Burn Hazard – the chargers can overheat, posing a fire and burn hazard to consumers. Clay Craft Kits Sold at Babies“R”Us and Toys“R”Us Recalled Due to Risk of Mold Exposure – mold can be present in the clay, posing a risk of respiratory or other infections in individuals with compromised immune systems, damaged lungs or an allergy to mold. Kobalt Cordless Electric Chainsaws Recalled Due to Injury Hazard – the chain brake guard in the cordless electric chainsaw can fail and allow the chainsaw to continue operating, posing an injury hazard to users. Bed Bath & Beyond Recalls Hudson Comforters by UGG Due to Risk of Mold Exposure – mold can be present, posing a risk of respiratory or other infections in individuals with compromised immune systems, damaged lungs or an allergy to mold. Rural King Recalls Electric Blankets and Throws Due to Fire and Burn Hazards – the blankets’ and throws’ electric cord can overheat and catch on fire, posing fire and burn hazards. Instapot Double Insight Recalls Multicookers Sold Exclusively at Walmart Recalled due to fire hazard – a manufacturer defect can cause the multi-cooker to overheat and melt on the underside, posing a fire hazard. Werner Recalls Aluminum Ladders Due to Fall Hazard – the ladders can break while in use, posing a fall hazard to the user.